Offer Accepted No Open HouseSpectacular cul-de-sac setting on over an acre of land close to Sudbury Line. 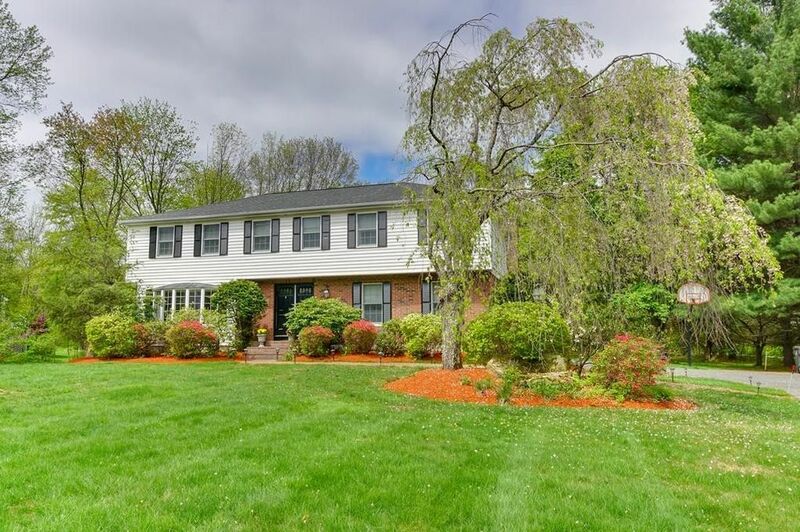 Sun filled home ready for you & your personal updates.Gracious Foyer to welcome your guests.Gleaming hardwood floors throughout most of the house. Formal Living Room w/Bay Window & Custom Lights. Dining Room w/hardwood perfect for entertaining. Family Room w/fireplace, built ins, custom lighting & slider to deck & serene/sensational back yard. Huge cabinet packed light bright eat in kitchen w/breakfast area also featuring two pantry closet, gas cook top, wall oven & JennAir Electric Cook Top. Convenient First Floor Laundry w/W&D & Mud Room w/easy access to to deck & yard. Master BR w/huge walk in closet, dressing area & private bath. Three more bedrooms all w/hardwood & easy access to main bath. Great finished lower level with laminate floor & a spacious storage area w/bulhead. Newer Energy Efficient Gas Furnace & Central Air.Relax on back deck and enjoy the tranquil back yard.